Durability and reliability are core attributes of Altus designed products. We strive to make innovative products that are built to last. 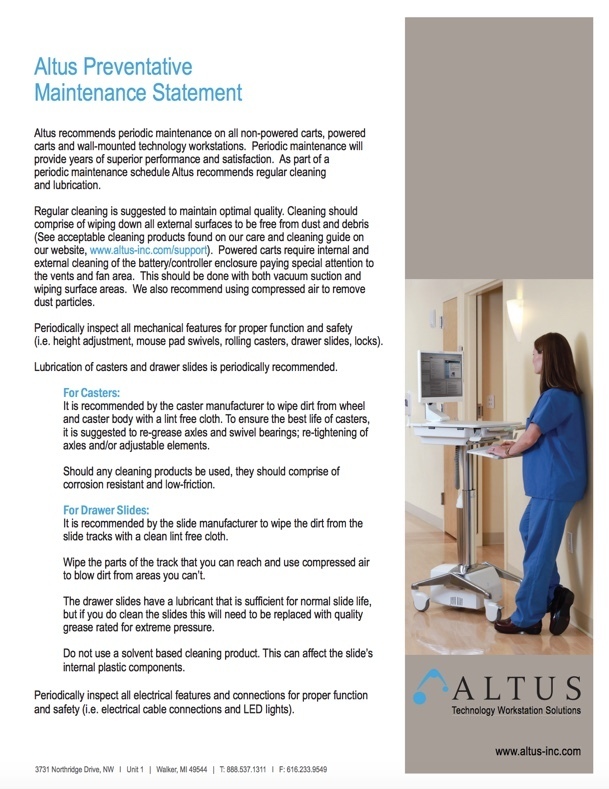 Altus recommends periodic maintenance on all non-powered carts, powered carts and wall-mounted technology workstations. Periodic maintenance will provide years and years of superior performance and satisfaction. We want our customers to have confidence when they choose us. Thus, we've created a preventative maintenance brochure, our guide to prolonging your workstation life. Download our Preventative Maintenance Brochure for a thorough guide on external and internal cleaning of your workstation.